We had a couple of readers ask that we compare the Moto X to the other recently announced phones for Verizon (DROID ULTRA, MAXX, and Mini), but since review units for the new DROIDs aren’t currently ready, we’re stuck looking at the four on paper for now. This is a quick spec comparison to show you the subtle differences in each phone. Some differ in display size, battery capacity, and of course, they almost all differ in price. We’ll compare the Moto X to other OEM flagships here in a minute. 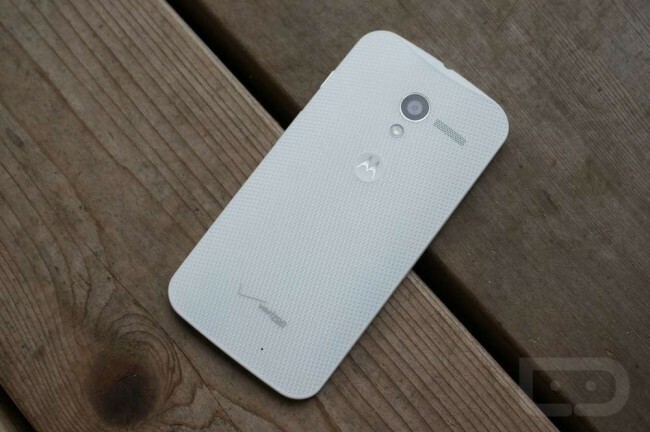 For now, here is your new Motorola line-up, on paper. 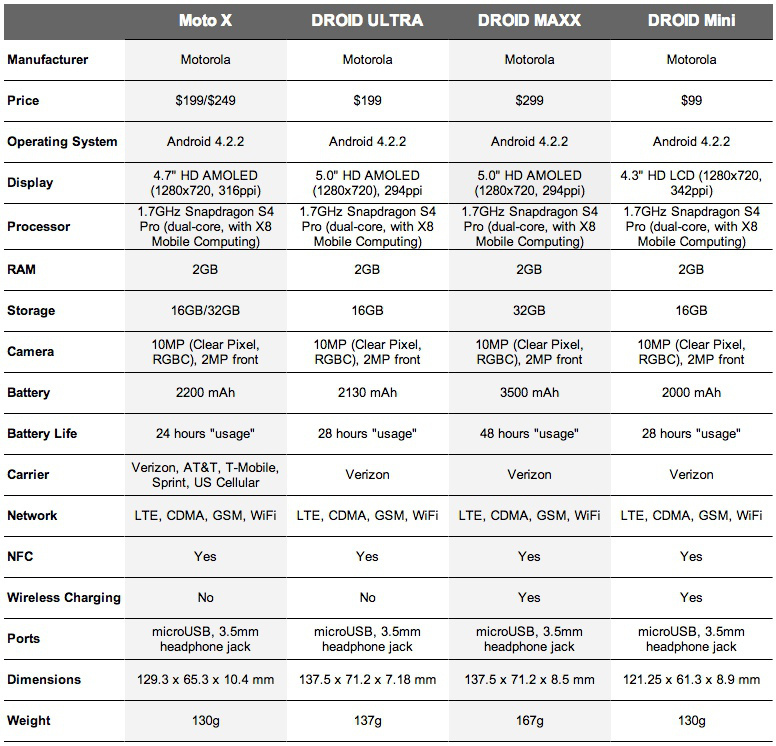 Update: After you are done here, check out the comparison of the Moto X to the Galaxy S4, HTC One, and Nexus 4.